Welcome to the October edition of the Black Hops newsletter. A bunch of new beers for October!! Spring is in full swing, so we’ve bounced into the warm weather zone with FIVE new beers for October, including a Black Hops first for our limited run, Recon Series range. We decided to brew an Amber Ale on the down low and drop it without warning at the recent Crafted Festival. 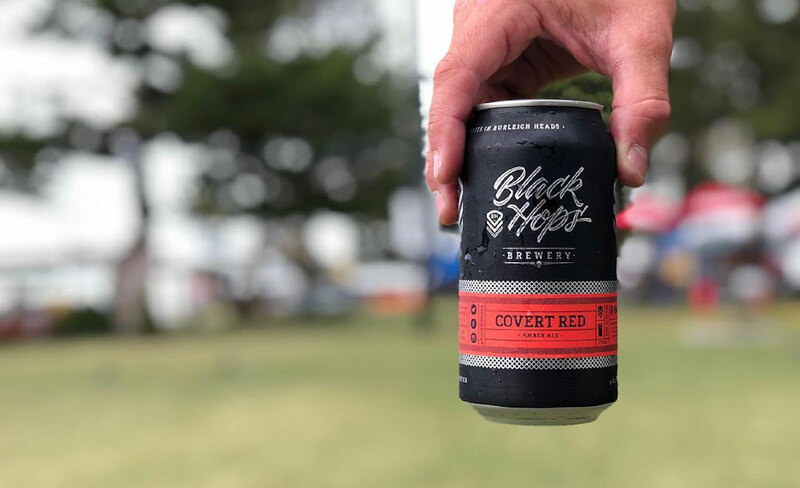 We named it Covert Red and it went down a treat, and the good news is we’ve now made it available at our Taproom HQ, both in limited run cans and on tap. We’ve also made it available online, you can grab a 12 pack here while stocks last. This one has an interesting history. Back before we had a brewery, one of our first pilot batches was a pale ale called Gold Coast Pale Ale. After a few kegs, this light, easy drinking Pale Ale didn’t make it into drinkers hands, until now..
We also brewed this one especially for the Crafted Festival. 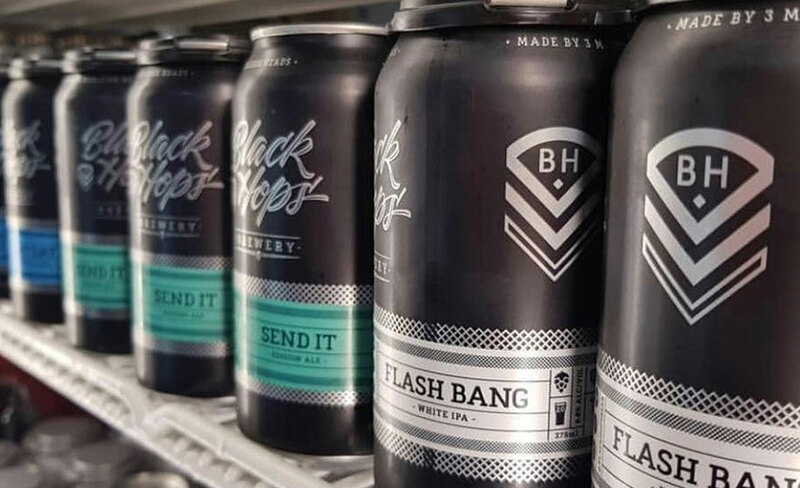 But we kept some back in cans for the Burleigh Taproom, so be sure to drop in and grab a 4 pack before they disappear. We also released our Caribbean Crusher last week. Originally brewed as a ‘Recon Series’ release as a collab with our friends at Dirty Moes, this crowd favourite has made a comeback and is in cans for the first time as a limited release. This hazy American IPA is spiced with citrus, pineapple, mango and coconut-infused Mt Gay Black Barrel Rum to give this already aromatic beer a fresh Caribbean twist. 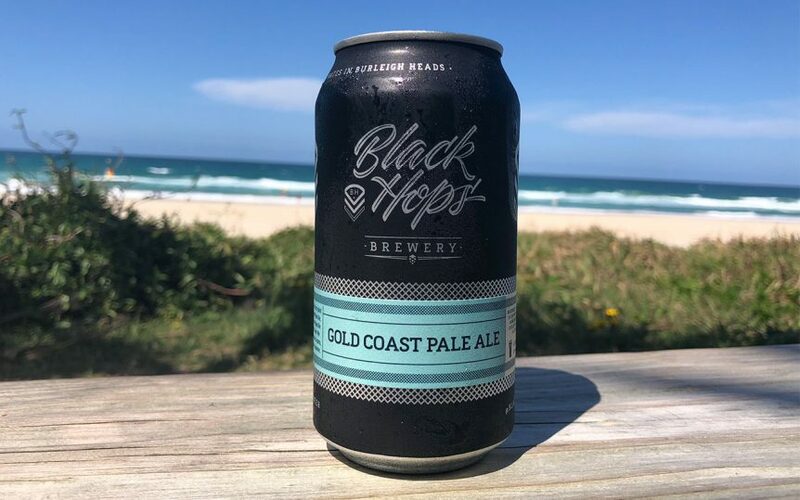 It sold out in cans at HQ in a few days but was also sent to a bunch of venues and outlets throughout South East and North QLD and Northern NSW. For a full list of places that stock it, visit our Instagram page but be warned, most places will be sold out already. For a full list of places that stock it, visit our Instagram page. Our Recon Series of speciality, limited release beers has TWO new additions for October. Don’t let the term ‘barley wine’ fool you. Brutus The Younger is a beer, and a bloody bold one at that, coming in at a whopping 12.4%. In fact, this American Barley Wine is a modern interpretation of one of the oldest style of beers in history, bringing complex yet bold toffee and fruit flavours, showcased by an almost earthy hop presence and lasting bitterness. Truly a beer for the ages, we only have only one keg available as a taproom exclusive, so don’t dawdle. This is just a taste of what awaits, with ‘Brutus (The Elder)’, a Bourbon Barrel Aged Barley Wine currently brewing, in preparation for release in the first half of 2019. Burleigh Sunrise is a limited release collab we recently did with our cafe neighbours, Burleigh Social. It’s an acai infused Kolsch, inspired by Burleigh Socials renowned Acai Bowls. In case you’re wondering,‘Kolsch’ is a style of beer brewed in Cologne, Germany. It’s a clear, top-fermented beer with a bright, straw-yellow hue. We have a limited run pouring at our Burleigh taproom this month, so come in and satiate your curiosity, and your thirst. We’ve got some exciting new beers on the bubble, which will be hitting the Taproom soon! We’re working on a Coffee Red Ale, which is a collab with the Crow N Arrow Bar in Lawnton. We’ve also got a Sour IPA in the pipeline. And we’re also about to ramp things up on the barrel aged beer front. So look out for a Black Hops barrel aged Russian Imperial Stout. And as mentioned above, we’re currently working on a Bourbon Barrel Aged Barley Wine called ‘Brutus (The Elder)’, which is currently aging and will most likely go out in the first half of 2019. And next Tuesday, we’re brewing a Strawberry Sour, which will be a collab with Andrew Mahony of the Gold Coast Home Brewers Club, who took out the ‘champion brewer’ award at the 2018 Queensland Amateur Brewing Championship. Keep an eye out on our Social Medias for further updates on when these new beers will be released. As you may already know, next year we’ll be opening a second brewery, on the Northern end of the Gold Coast. We’re stoked to report that our brewery expansion plans are in full swing and that things are running pretty much to schedule so far. 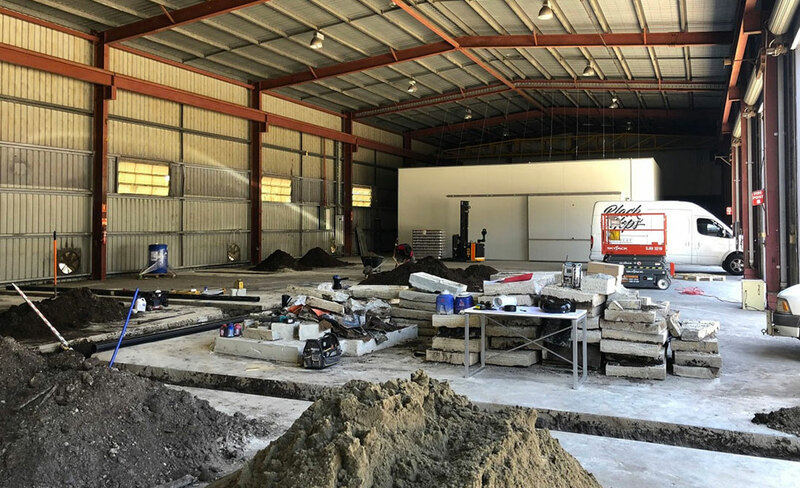 Up on the blog this month, we bring you up to speed with where things are at with setting up the new brewery, from council and government approvals through to new brewery equipment, as well as some pics of the new brewery layout and fit out. This past weekend marked the second Crafted Beer and Cider Festival on the Gold Coast. 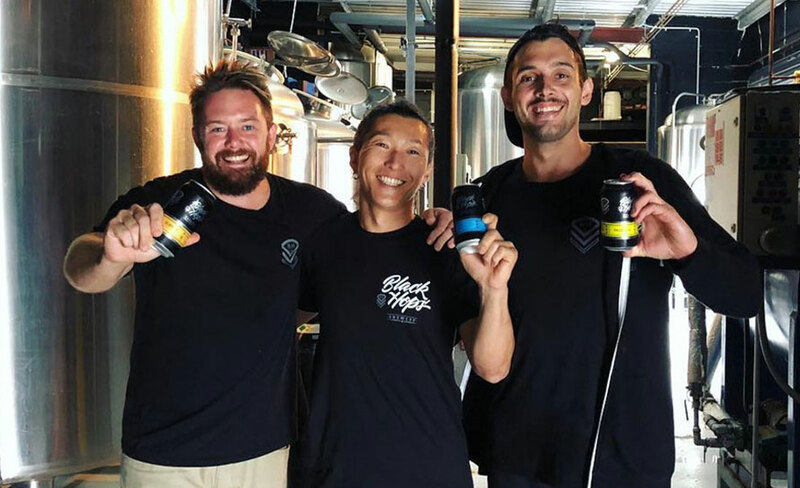 The Black Hops crew were there in force with 6 beers on tap including Pink Mist and Eggnog Stout on Nitro as well as 2 brand new beers, our Gold Coast Pale Ale and Covert Red along with our core range in cans. Earlier visitors even got a few Caribbean Crusher tins, but they didn’t last long. The weather held out for most of the afternoon and it was great to hang out with craft beer lovers and industry friends. A huge thanks to Bar on Location for lending us their boss bar setup on the day. For every Sunday in October from 6pm, the Press Club in Fortitude Valley are hosting ‘Send It Sundays’, in honour of our smashable Session Ale. They’ll also be pouring our limited release Caribbean Crusher, our fruit and rum soaked hazy american IPA. So get along for a double shot of Black Hops action. 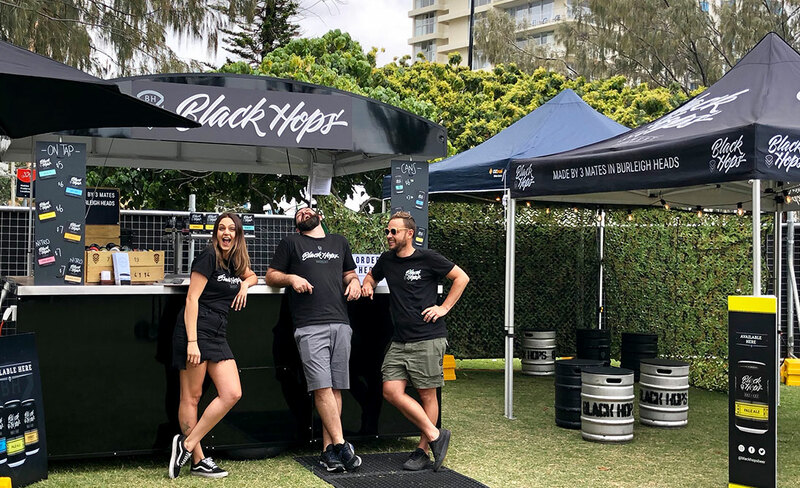 We’ll be taking along our marquee and pop up bar to the Crow N Arrow, at Gympie Road, Lawnton, who are hosting a beer sampling event in their car park. There’ll be five other breweries there too, including Young Henrys and Modus Operandi. The action kicks off at noon on Saturday, 20 October. You, us, carpark .. see you there! The Taproom fridge is currently well stocked with a bunch of different core range can options, including Pale Ale, Hornet IPA, Eggnog Stout and Send It. We’ve also got a limited batch of Covert Red Amber Ale and Gold Coast Pale Ale in 4 packs. But they probably won’t hang around for long. And for the well rounded drinker we’re also currently stocked with Care Packs, which gives you a box of Lay Day, Hornet and Pale Ale 4 packs. Want to stock Black Hops? To place an order feel free to call the office, hit up your local rep or hit reply on this email.